In awe (or fear) of a Google Cloud-based intranet? Somehow, I had the feeling that it was the beginning of the end of our investment in Linchpin, our social intranet solution based on Confluence. 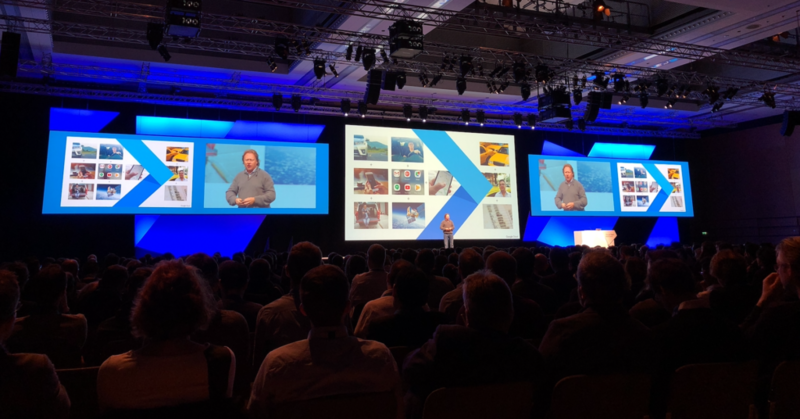 I was in Munich at the Google Cloud Summit - the largest Google conference outside of the USA, with 2,000 participants traveling to attend, including a delegation from Google's G Suite based intranet. So when a developer uses Google's leading technology to create a personalized intranet - wouldn't that be immediately superior to Atlassian's relatively sluggish technology? Plus, recommended by Google and used by thousands of users? I had prepared (resigned?) myself to the fact that in future we would be distributing this cloud-based system than Linchpin. After all, customers should and must receive the best product. You shouldn't avoid this, even when your own products would need to be left aside. But things were not at all how I expected. We looked at the Cloud intranet solution and we were not enthusiastic. It's generic. It's not really deeply integrated. It does not meet many of the requirements our major customers have. Cloud aside, Google: This is not something we can recommend to our customers in good conscience. But would our customers agree? Yes, absolutely yes! And that is the reason for this article, which I admit, fills me with pride. We have been able to win several customers who use Linchpin, over to using Google's G Suite as well. You can integrate Linchpin with SAP, Salesforce, Asana and other cloud services. There is a clear trend towards the cloud. However, these are private clouds that run on Google (Google Cloud Platform or GCP), Amazon Web Services (AWS), or sometimes Microsoft Azure Cloud. This is where we usually operate the Atlassian systems. My original fear, or perhaps awe, has given way to a new self-confidence. We are not only compatible with the new cloud world, but actually fit in perfectly. Instead of being replaced by a Google-based solution, Confluence with Linchpin turns out to be a sought-after and valuable integration platform for all the new cloud services in a company. Instead of the ugly duckling, we offer a central point that can integrate services such as G Suite, Salesforce and SAP. Off the top of your head, do you know of any integration solutions between Salesforce and G Suite? One between SAP and G Suite? One between the cloud service XY and the next? No? Look for these integrations in the Atlassian Marketplace. They all exist. Over 900 extensions are available in this ecosystem for Confluence alone. And more for Jira. With Linchpin we can provide a fully personalized central point that can connect all the modern cloud services companies are using more and more. These cloud services are often isolated islands that do not speak to each other. For the employees, that's a confusing hodgepodge of separate solutions for different tasks. With the Linchpin App Center, all services (old and new) are listed, and employees can filter and subscribe to those they need. Plus these services can often be integrated via single sign-on components (SSO). The social intranet dashboard can integrate other portals using widgets with personalized posts and news to attract your employees' attention. From here, they can directly jump to the cloud services they need. These services can also be integrated and displayed on any or every single content, portal or overview page in the Linchpin intranet. Often real-time updating elements (e.g. tasks from Asana or Jira) or lists of elements from these services can be embedded. You can search for services and elements via the central search function. In a world of cloud services, a Linchpin intranet connects the various services used by a company and lets employees orient themselves quickly. It supports onboarding, and is the central knowledge base for employees as they work on their projects. Which cloud services do you use in your company? What options have you found to make these tools centrally available to users? Which do you want to integrate with Atlassian Confluence and Linchpin? Let us know!